Jordan Reserve was the venue for this year’s North v South FIDA Under 21 game. 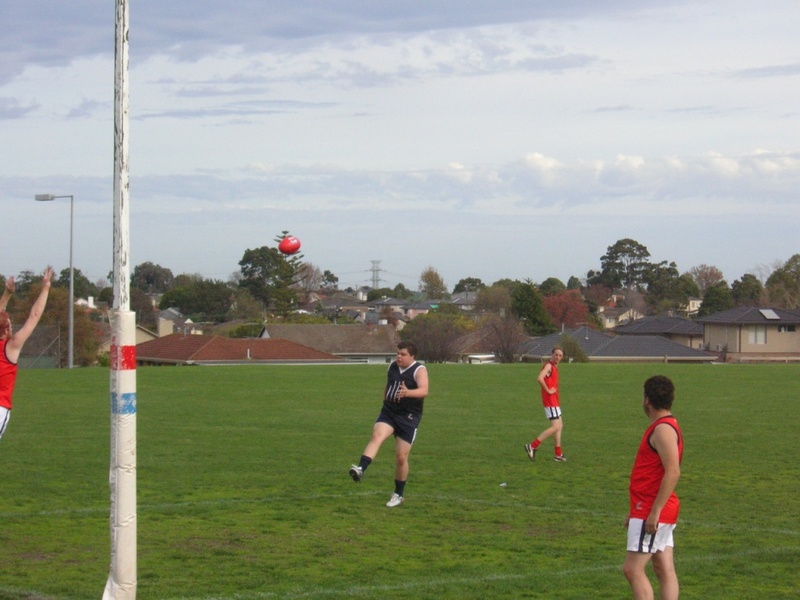 The reserve is the home ground for FIDA team Chadstone Synners and amateur team Chadstone (formerly known as Syndal-Tally Ho Football Club). The scoreboard is a modest structure but still provides shelter. For the FIDA game, Craig Miles of Chadstone Synners, looked after the numbers. He was kept especially busy in the first quarter when South FIDA set the tone of the game by rattling on five unanswered goals. 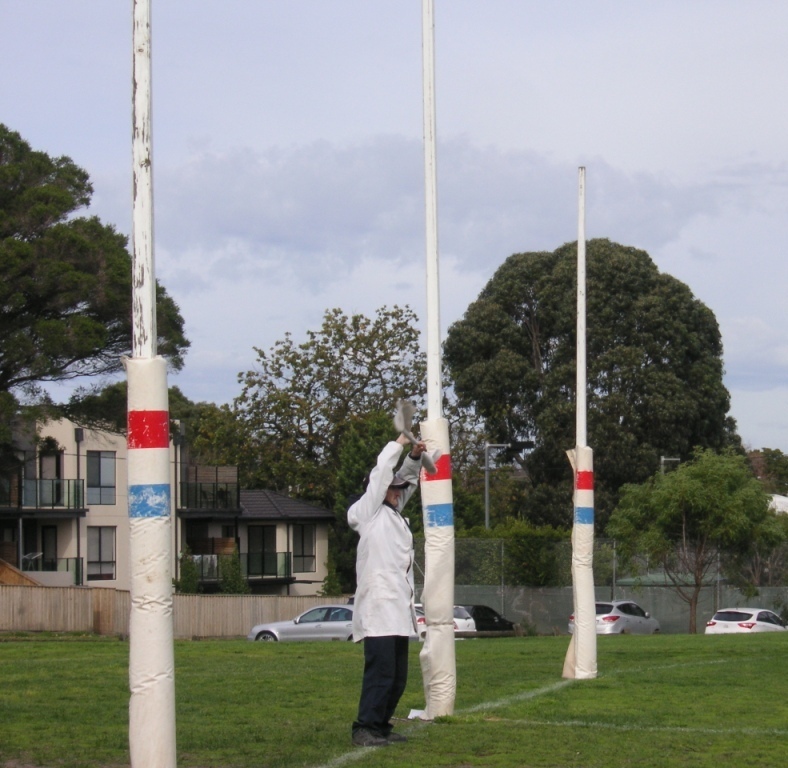 FIDA goal umpire Kenny – an enthusiastic flag waver. The game was played in a good spirit, with all players learning what it’s like to play in a representative team – new coach, new teammates, new positions. Visit FIDA for the match report. FIDA is a league for footballers with intellectual disabilities. 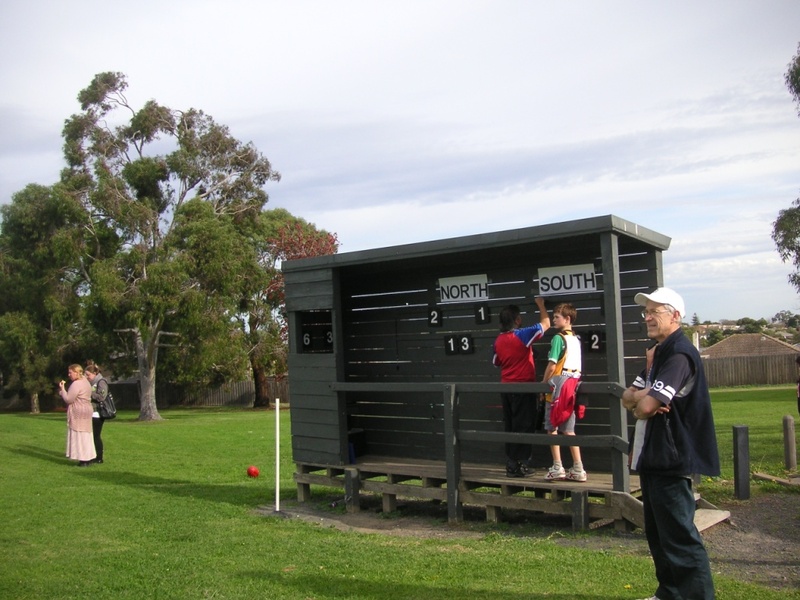 The 2013 North v South game was played at Jubilee Park, Ringwood.